Spring has sprung and that means Easter is on its way! I’ve gathered up some of our favorite little gifts that would make the perfect additions to your Easter basket. 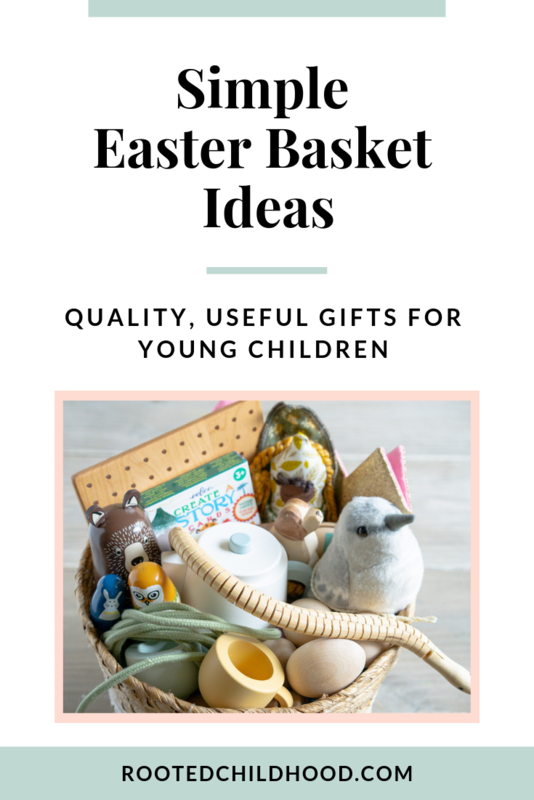 These simple Easter basket ideas are high- quality items that can be used by multiple children for many, many years. We love holidays around here, and I jump on any excuse to give gifts. But, I also lean toward minimalism, less and less the more kids I have, but it’s still there. I want our home to be filled with things that spark joy. I prefer to spend a bit more on high quality gifts and toys and have less of them. In this year’s Easter basket, my kids will each get one puzzle, one little toy, something to play with outside, and a few treats. I gathered up some of the items we’re including this year or that we’ve put in Easter baskets over the years to share with you. These simple Easter basket ideas are ones that won’t just add clutter to your home or be tossed within a few weeks. They’re quality, well-made toys that will capture the imagination and inspire hours of magical play. 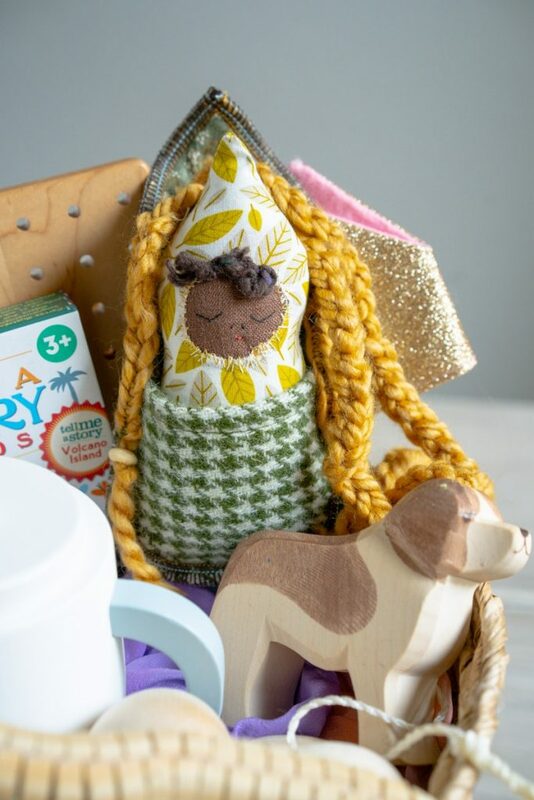 Every child loves playing with dolls, and this sweet pint-sized doll from Little Red Creations is sure to be a favorite. The creator, Lauren, was nice enough to send us one of her Leaf Baby dolls, and I can’t wait to give this to my two year old! The Leaf Baby comes in a little pouch with a cross-body strap perfectly sized for a small child. My two year old is obsessed with carrying bags and wearing backpacks so I know she’ll love this! 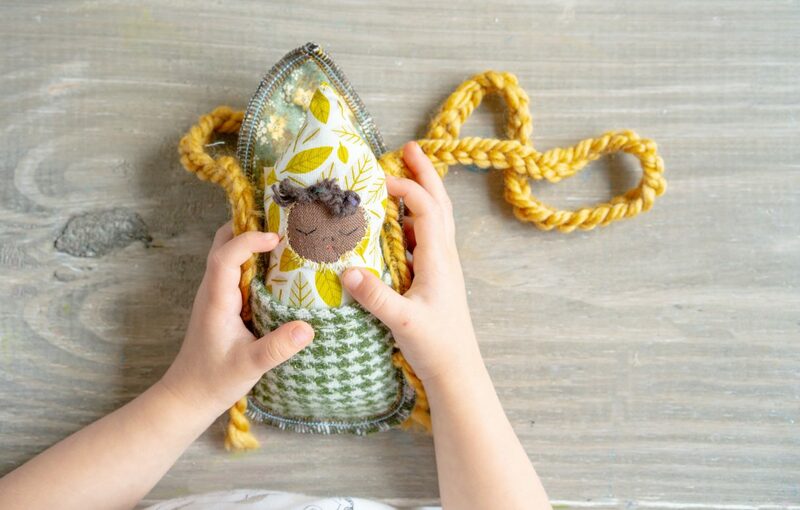 The dolls are zero-waste and eco-friendly creations, which is a wonderful way to communicate the importance of caring for the Earth to our little ones. I also love that they come in a variety of skin tones and all look unique. I saw this teapot on Instagram and knew I had to have it. We’re big fans of poetry teatime over here, and kids often re-enact real world events in their play so it’s no surprise that my kids love to play tea party. We’ve had a few play tea sets over the years, but none of them have stood the test of time (or withstood my Konmari purge!). 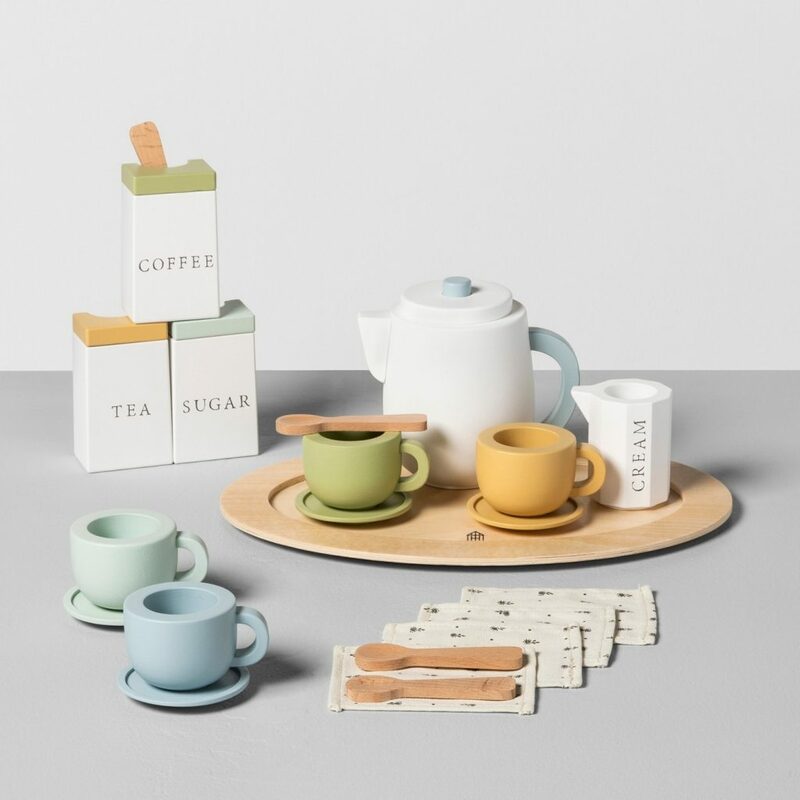 But this wooden tea set? It is stunning! I swoon over all of the Hearth and Hand with Magnolia items at Target, but this tea set is seriously adorable! It comes with a the teapot, teacups, a serving tray, cute little spoons, and more. All three of my kids from 2 to 7 will love playing with this. 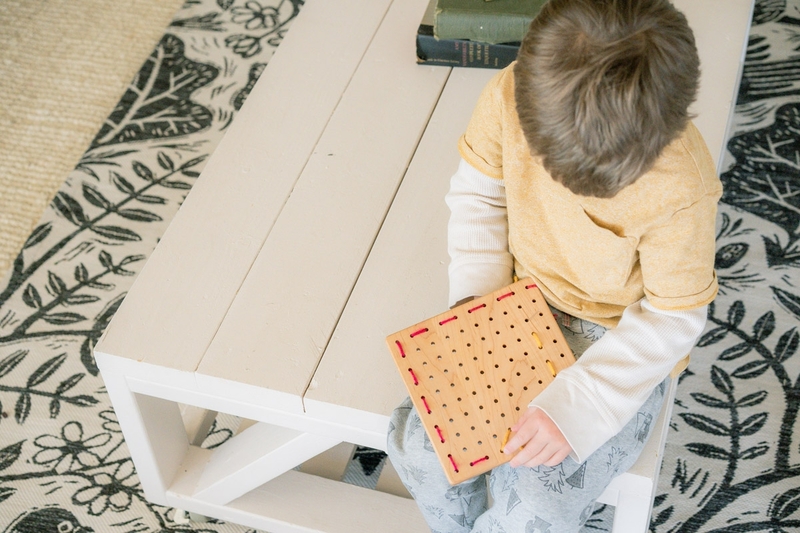 We scooped up these Montessori puzzles last year after seeing them over on the Nourished Children blog. We have the bird, tree, and butterfly, and they are a great addition to our nature study themes. They’re sturdy and well made, and I can tell these will be used for many years. For a less expensive option, I recently saw nature themed wooden 3D puzzles at Target over in the Dollar Spot. We picked up a dinosaur, grasshopper, and a bee. 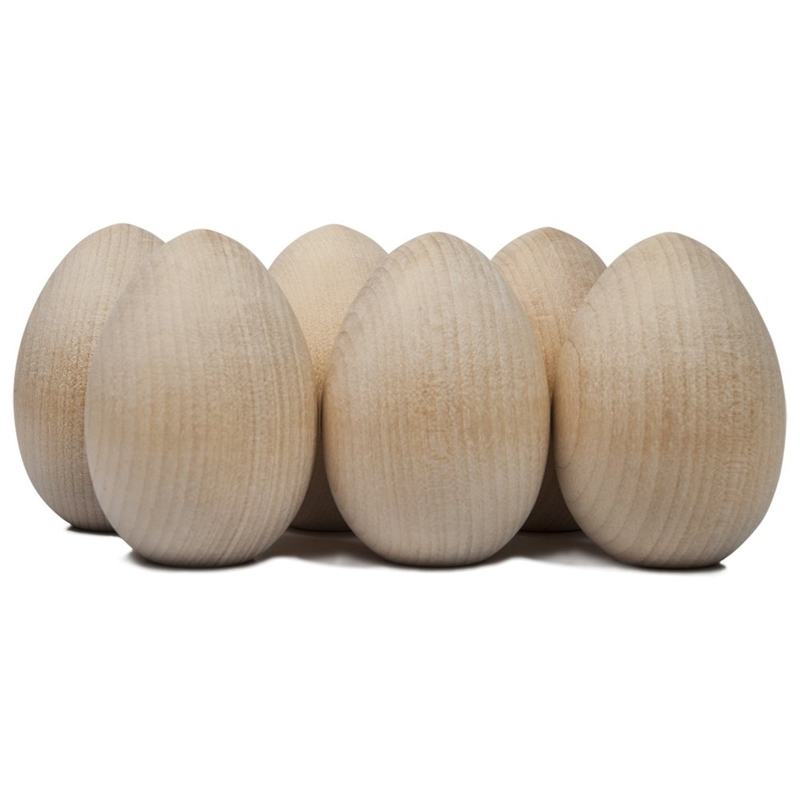 We put some of these wooden eggs in our baskets last year, and they were such a hit. My kids played grocery store, chicken farmer, bowling, and more with these! We just played with them as is, but you could add a few paints and brushes to the basket and turn it into a sweet project. 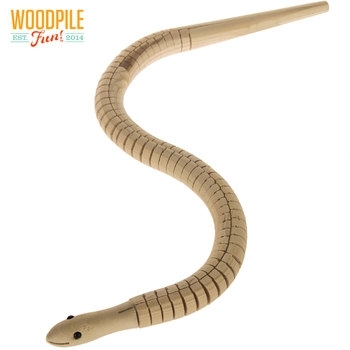 This little wooden snake may just be the best $1.99 I’ve ever spent! It’s unfinished and nothing fancy, but if you hold his tail, he wiggles and squiggles like a real snake and provides endless entertainment. I found him at Hobby Lobby in the unfinished wood section. 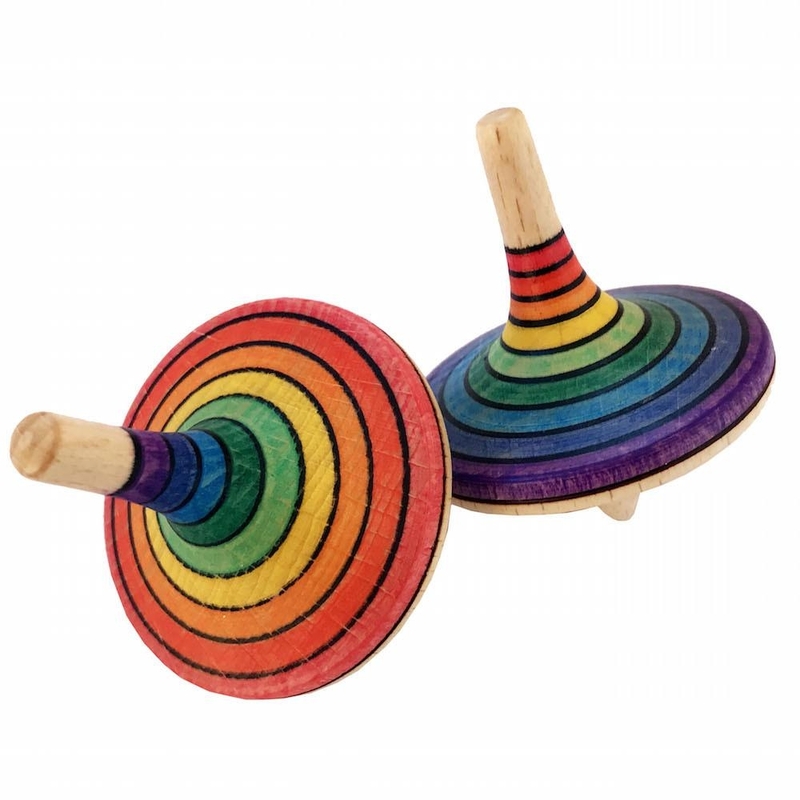 A spinning top is such a simple toy, but you can tell why it has stood the test of time! How many times can we spin a top and stare at it? My 4 year old got this adorable wooden spinning top last year from Bella Luna Toys and has just recently learned to spin it himself. Even before that, he loved trying and watching me or his older sister spin it. 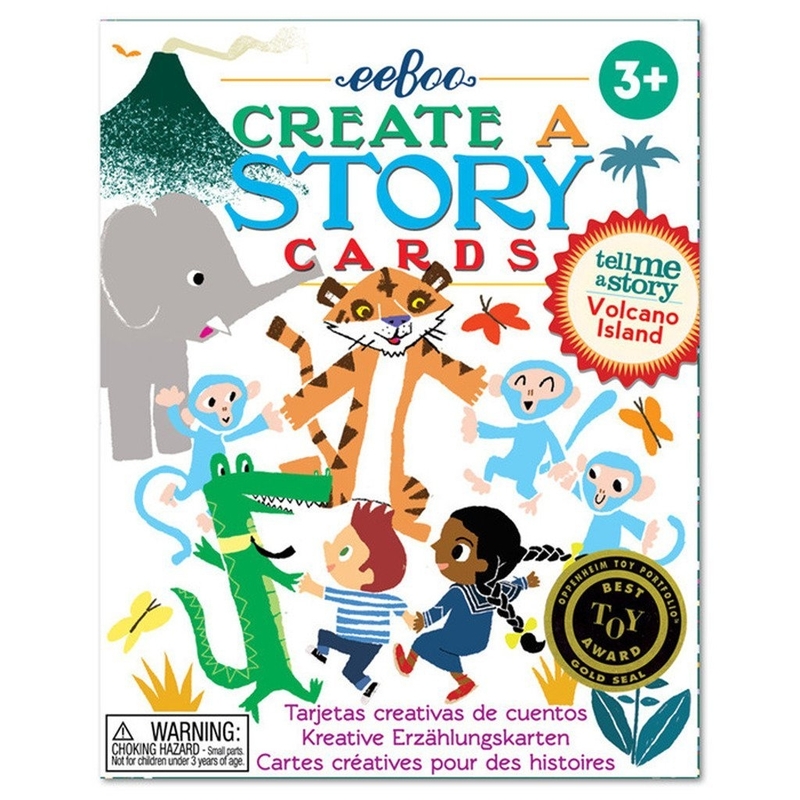 We’re big storytellers, and these Create a Story cards make it easy for even the littlest storytellers to help tell epic stories. You can use the cards to tell a story to your children or you can tell a group story where each person draws a card and tells a bit of the story. There are several themed sets of cards to choose from. The illustrations are fun, and the cards are varied enough that these never get old! We’ve had a few of these for four years and we love them just as much today. My oldest is 7, and I have been waiting for the day that she is able to jump rope. Jump rope songs and games are a childhood staple that I’m excited to share with her. She actually requested a sparkly jump rope from Santa last year, which she still loves. 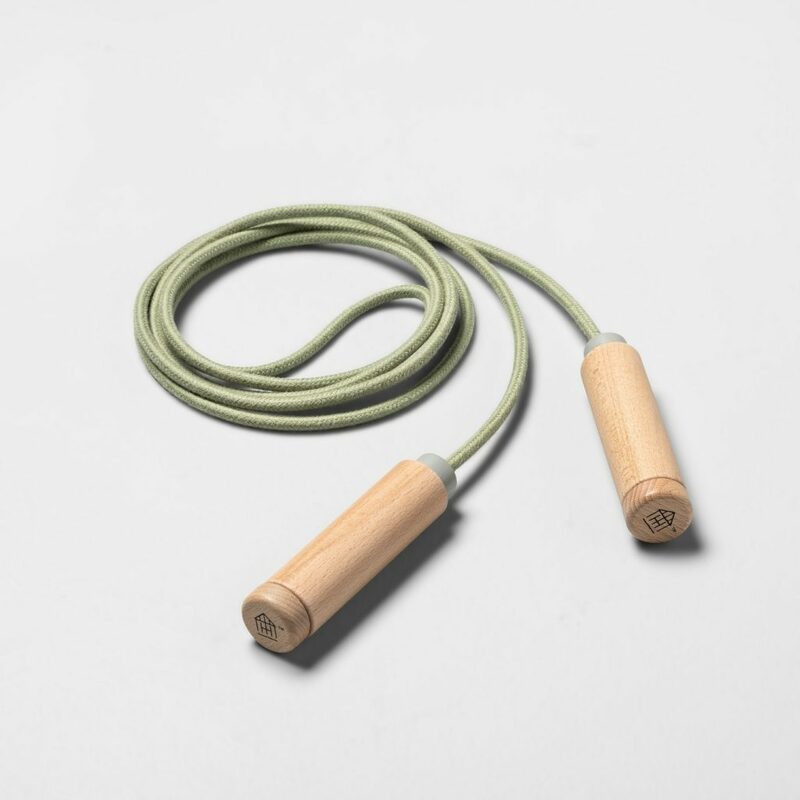 But my son is always begging for a turn so when I saw this classic, neutral jump rope at Target, I snagged it for this year’s Easter basket. 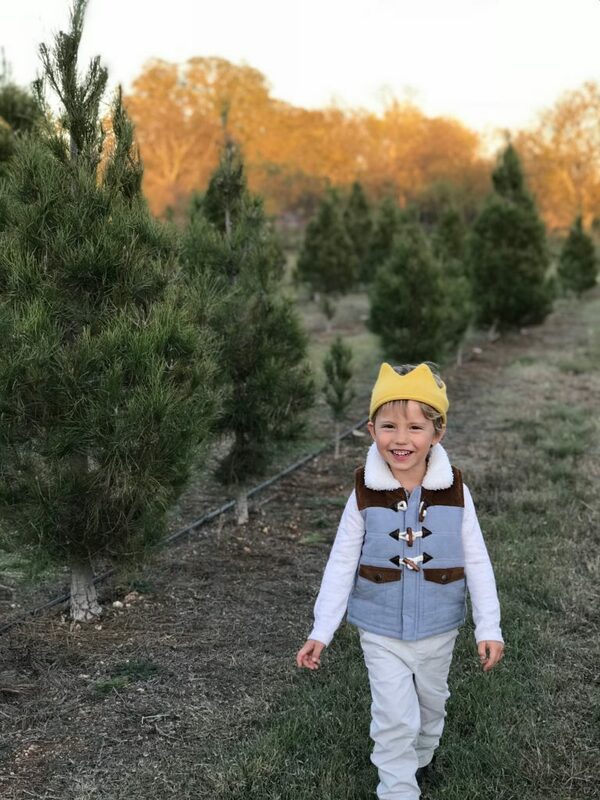 We love simple dress up accessories, and one of the best pieces we have gotten was a crown. We got this crown a few years ago, and it has endured constant play by my son. We also have this glittery crown from Hanna Andersson that we love. Capes and wings are two other staples for our dress up bin. We have a few simple, no-logo capes and masks that transform my kids into superheroes on a regular basis. We also adore our butterfly wings– perfect for spring! 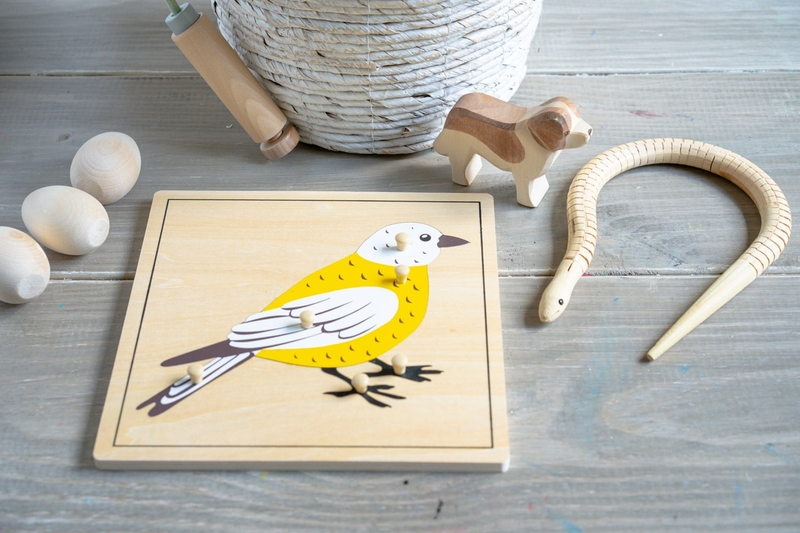 One of our most used Easter gifts has been this wooden sewing board from Treasures from Jennifer. The wood is buttery smooth and the craftsmanship is amazing. This sewing board is meant to be used with a large needle like a tapestry needle and yard. It is the perfect way to introduce toddlers and preschoolers to sewing. We started building our collection of wooden animals, and while I admit I wasn’t sure they’d be worth the cost, they are! 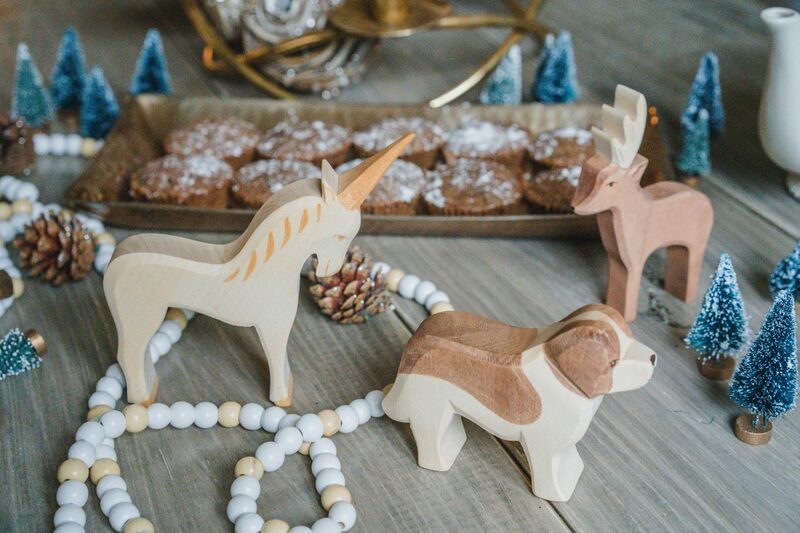 Ostheimer Wooden Toys are collectible hand carved figures made in Germany and finished with non-toxic stains and finished with natural oils. They are heirloom quality and I know that my grandchildren will be playing with these one day! It’s really easy for me to go overboard with holiday gifts like in Easter baskets, but I try to remind myself that less really is more. I want my kids to really enjoy and appreciate the things we get for them and to know that they were chosen especially for them. Now it’s your turn…what’s going in your kids’ Easter baskets this year? Leave a comment and let me know! I love these ideas! I’m like you, less is more these days, and meaningful is more! With 6 kids I’ve become very selective in what I gift. Junk drives me crazy now! Yes, with multiple kids we have to simply for sure!